This panel discussion sets out to investigate the evolving role of the moving image in contemporary art. Theorist Ina Blom, multi-disciplinary collective Keiken, and artist Lawrence Lek will explore technology’s influence on contemporary moving image production and audience reception to these new forms of work. As the production, screening, circulation and storage of moving image becomes increasingly feasible and financially viable, our panellists will consider these changes and ask: What can we expect of new practices and developments in the future? Ina Blom is Professor in the Department of Philosophy, Classics, History of Art and Ideas at the University of Oslo and Wigeland Visiting Professor at the Dept. of Art History, University of Chicago. Her fields of research are modernism/avant-garde studies and contemporary art with a particular focus on media aesthetics and the relationship between art, technology, media and politics. Blom’s The Autobiography of Video: The Life and Times of a Memory Technology was published by Sternberg Press in 2016. Keiken are artists, art directors and musicians working collaboratively in a networked practice that merges multiple voices and mediums with collective critical thinking to create immersive experiences. Working with interactive contemporary art and the latest technologies, they apply world-building techniques to imagine networked, layered futures in order to test-drive implications. Most recently, Keiken presented their performative lecture ‘Honey, I’m Data!’ at IMPAKT Festival (Utrecht) developed from its previous iteration at LUX (London). 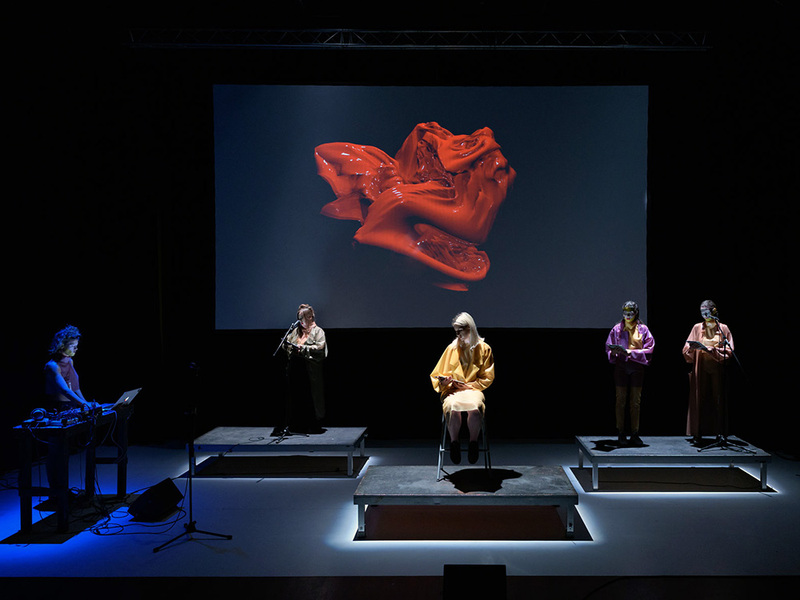 They have also exhibited and curated at CTM and Transmediale’s Vorspiel festival (Berlin), MIRA Festival (Barcelona) and U Studio at Tate (St Ives). They were the first artists to have their virtual reality film projected 22,000 light years into space by Jon Pettigrew for Planet3/Art/News. Lawrence Lek is an artist who lives and works in London. Recent exhibitions include Nøtel, Stroom den Haag, The Hague (2018), 2065, K11, Hong Kong (2018), Rendered Cities, ApexArt, New York (2018), Art Night London (2017), Neither one thing or another, Jerwood Space, London (2017), HyperPavilion, Venice (2017) and Glasgow International (2016). Lek received the 2017 Jerwood/Film and Video Umbrella Award, and the 2015 Dazed Emerging Artist Award.